Do you have a great offering to sell online? We can set you up with WooCommerce in WordPress or Shopify; or integrate your website with Shopify for a seamless e-commerce experience. The process includes everything from market research, branding, product photography, SEO-friendly copy and messaging for your products, building your store and uploading inventory on secure, reliable and fast hosing platforms,, along with keyword research and a marketing strategy. 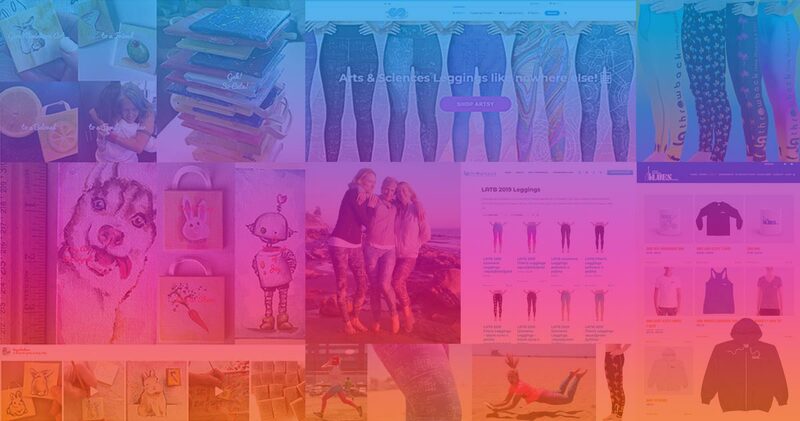 Once we’ve built your web store, getting customers to your store is the next step! We can set up your branded newsletter campaigns with preferred newsletter provider; social media ads to bring attention to your store, Google Adwords, short YouTube videos to demonstrate your product and print marketing. If you only build it, they will not come to your store without ongoing marketing. With over 4 billions websites online in 2019, the chances that yours will be found by luck alone or only good on-page SEO are tiny. An ongoing marketing strategy appropriate for your store is essential, along with great customer service and great products that serve your customers well. Having professional photography and video is a requirement for a successful E-Commerce store, and your social media marketing. Social media users have come to expect videos demonstrating products so that they can picture themselves having or using them, and having the experience for themselves before they purchase. Video content along with compelling offers will increase the chances that your E-Commerce store will be successful. Investing in quality copywriting will increase sales while helping customers find your products. Fortunately we partner with expert photographers, videographers and copywriters to help create successful marketing campaigns after you launch your store. Our goal is to create marketing that has an excellent return on investment, and great media and offers brought to people who want your products will increase your odds of success. 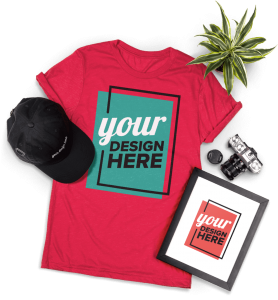 Do you have an awesome design idea for T-shirts, tanks, hoodies, hats, mugs, leggings, backpacks, and other clothing but you don’t know how to execute it with a Print-on-Demand E-Commerce store? We can help! We’re experts in implementing Print-on-Demand E-Commerce stores integrating Printful with your WordPress website, Shopify, Etsy or Amazon store. You can test your design idea without having to invest in inventory beforehand. If your design is successful , you can consider printing it for lower cost later while gaining experience, learning about your audience, building your brand, and perfecting your marketing. You don’t need a large initial investment in manufacturing, or professional photo shoots to open your store. You don’t need to store large amounts of inventory while you wait to sell it. You can order samples of your apparel to try out, give as samples to build your brand and trade for services from models or photographers as you start up. Printful provides high quality product mock up images, so you can visualize your design on a product before you sell it. We can revise your designs and view them on mock ups with models online as much as necessary until you’re satisfied. Printful also provides high quality product mock up images for your E-Commerce store, so you don’t need to have your apparel professionally photographed with models to open your store. You can use these images in your marketing campaigns to get started. You can add in photo and video using a smart phone with real people for social media marketing and on your web site, and upgrade to professionally shot media as your store gains popularity. Once set up, your product manufacturing, fulfillment and shipping will be totally automated. Your apparel will be made to order and shipped from one of three locations worldwide that are closest to your customer, saving shipping time and costs. Imagine a customer in Florida or Belgium finding your design on Etsy and having it created and shipped while you sleep. We’re experts in taking graphics and formatting them properly for various types of shirts, hats, leggings, bags, mugs and more. We know how to create a library of graphic templates to be used in your Printful account for creating your branded apparel, and ensuring that it prints properly. We can help you create your logo and brand, which will identify your E-Commerce store and be printed on your apparel labels. We can help you build your Print-on-Demand E-Commerce store from start to finish. Then we can help you tell the world (wide web) about it! Contact us to discuss your idea and to get a custom quote.